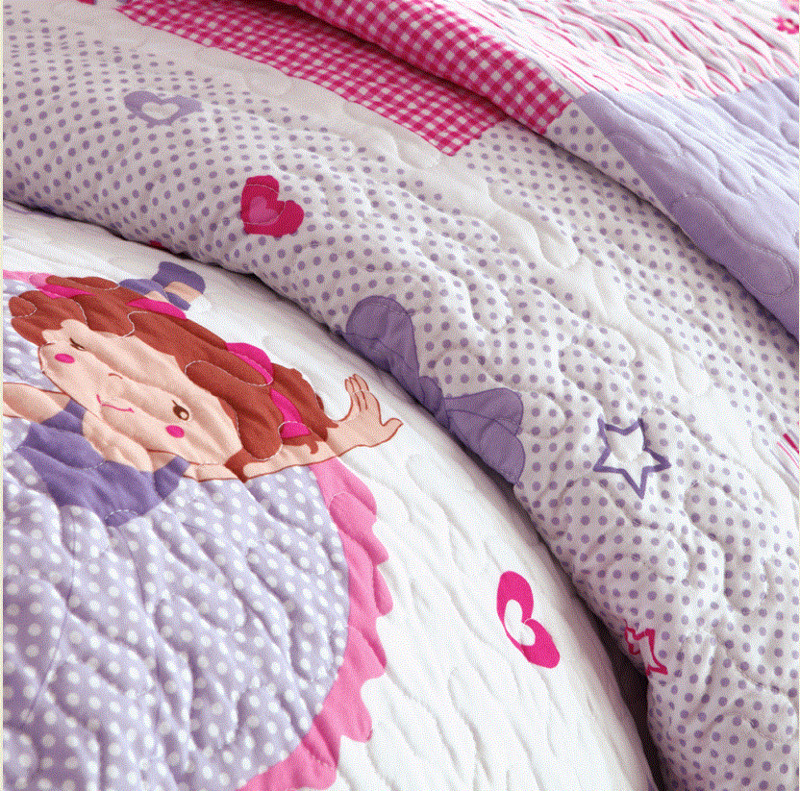 She will dance her way into the perfect bedroom with this adorable quilt set. Featuring ballerinas dancing across the center in shades of purple and pink. Outline quilting makes its way around several of the ballerinas for extra dimension on the top of bed. 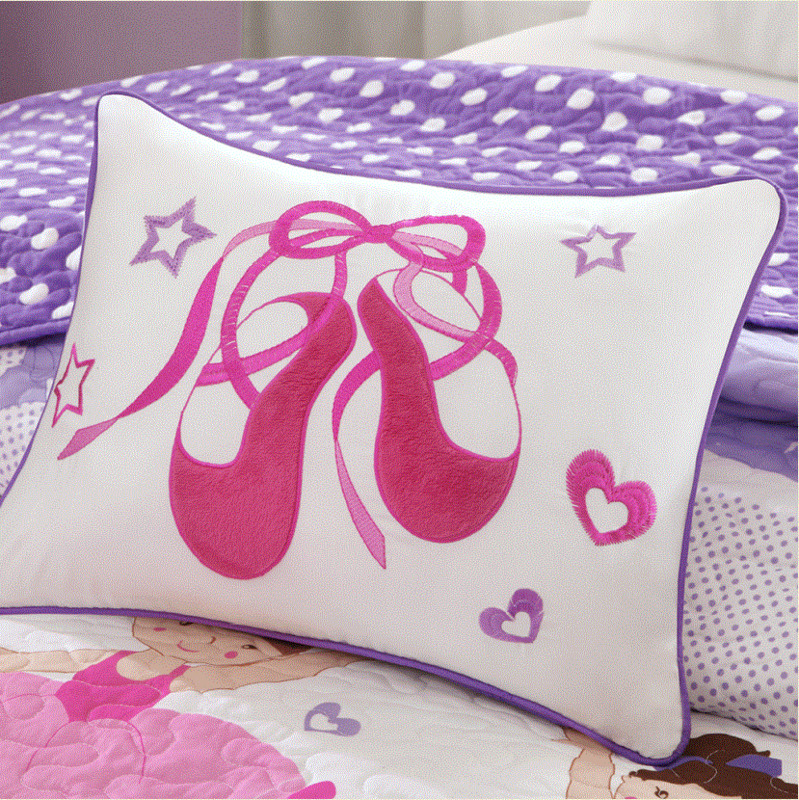 The shams and ballerina shoe decorative pillow feature plush fabric for a cozy and fun way to complete this set. Set includes quilt + 2 shams (1 sham in twin set).